Lone Star Flags & Golf has many options to get your course ready for Breast Cancer Awareness Month. 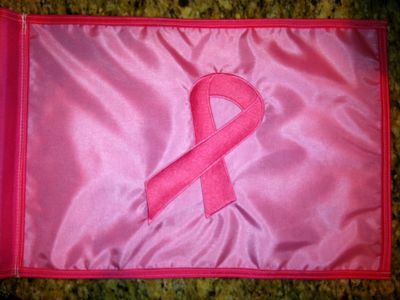 From custom flags to pink ribbon flags to pink accessories Lone Star can meet your needs. $39 PER CASE. This water-based paint greatly reduces clogging and saves your grass from burning. 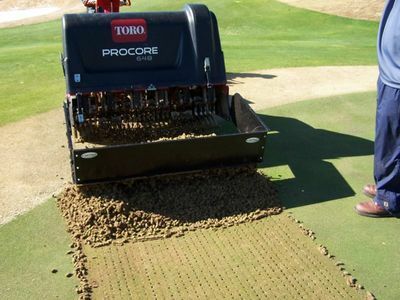 With the highest pigment percentage, you’ll get the most vibrant turf-marking paint available anywhere. High-quality resins offer a more consistent and long-lasting color. And it’s environment-friendly, too, with the fewest VOCs (Volatile Organic Compounds) and a nonhazardous ORM-D label.